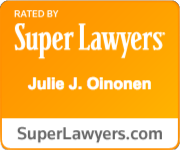 Julie Oinonen, partner at Williams Oinonen LLC just won a trial against a sitting Atlanta judge who was a defendant, receiving a substantial money judgment in favor of her client. Our client was a very nice lady from Georgia who had to sue her two former lawyers, one a sitting Judge in Atlanta, for breach of contract. Our client had paid her two former lawyers money. Amazingly, the Judge denied ever receiving this money and astoundingly, even after our client had paid him thousands of dollars, added insult to injury by still insisting our client owed him money! At trial however the Judge was impeached with prior inconsistent statements he had made in writing that we had blown up as large poster board exhibits during his cross examination. We are very grateful that the actual Judge who ruled on our case had the courage to render such a fair judgment even though it was against a fellow colleague/judge. The civil justice system however is the one way the little guy, the poor, and the powerless can seek an equal footing to obtain justice through a Constitutional right that is preserved in our 7th amendment, the right to a jury. This Constitutional right of the civil justice system is something we need to protect and hold dear, whether we are a Republican, Democrat or Tea Partier. 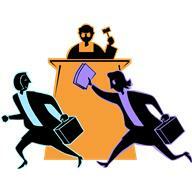 The Judge defendant may appeal our client’s winning verdict, but we will be prepared.